This past weekend, I photographed Tiffany and Brian’s modern and elegant winter wedding at the always beautiful Park Chateau in East Brunswick, NJ! Tiffany and Brian first met in Atlantic City at the Borgata nightclub on Tiffany’s 21st birthday, but their first date was not until a year later on Tiffany’s 22nd birthday, they dined at NYC’s Tao restaurant that evening. Brian knew Tiffany was the one the moment he laid eyes on her and Tiffany knew Brian was the one the moment they started dating as they had an amazing connection that only comes once in a lifetime. Tiffany and Brian were engaged on 12/18/2016 on a random night in New York City while ice skating in Rockefeller Center. Tiffany was surprised by the proposal and Brian did it by the Christmas tree, but he kept it off the ice for fear of falling! I met these two last Spring for their engagement session and the chemistry between them was magical, I couldn’t wait to photograph their day! 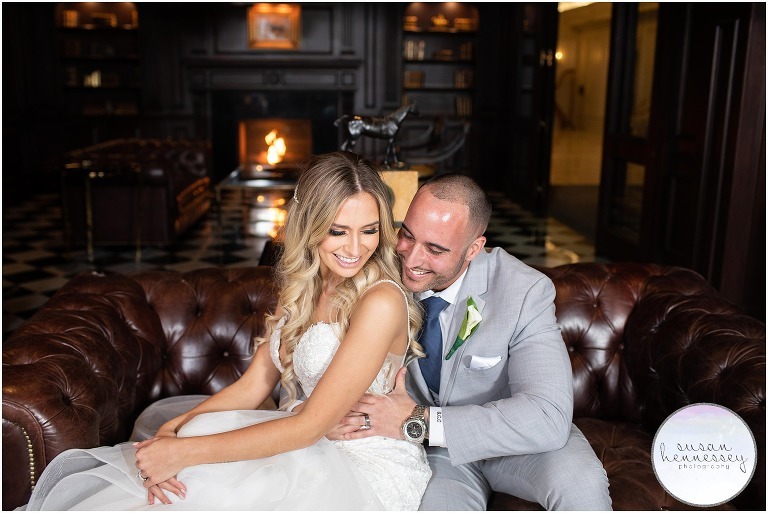 Tiffany and Brian had a beautiful winter day for their Park Chateau wedding and everything was perfect – their elegant day began with hair and makeup in the massive bridal suite that is filled with beautiful natural light and Tiffany’s Kleinfeld dress was absolutely breath taking! Their ceremony was at the dramatic St. Paul’s Roman Catholic Church in Princeton, NJ and with both a first look and gorgeous portraits taken after the ceremony, we had the best day ever! 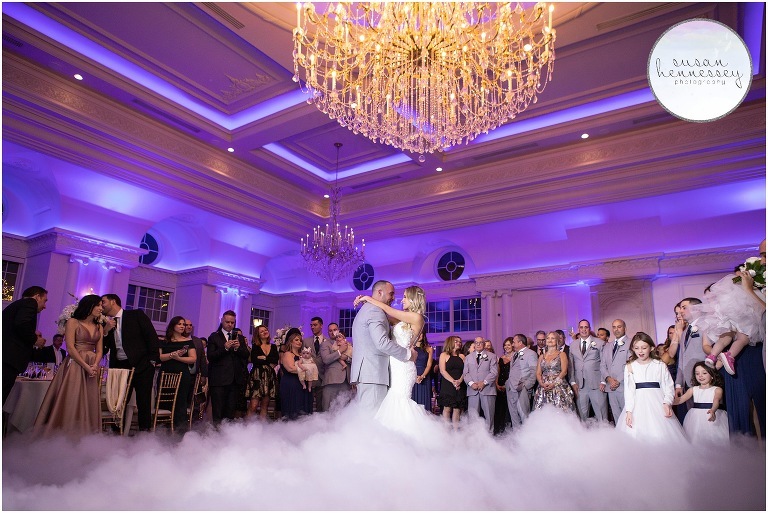 Their romantic day continued when these two danced on the clouds for their first dance. Their DJ was incredible and Tiffany and Brian danced all night and never left the dance floor. I am so happy to share this gorgeous Park Chateau wedding! Now that they are married, they are currently enjoying their honeymoon in the Maldives! Tiffany and Brian enjoy the simple things in life such as spending quality time with one other while eating out, drinking wine and going on walks with their dog, Cookie. Their dream is to build a loving family together, remain true and honest to one another during the good times and the bad. And most importantly, to always have each other’s back no matter what. Are you planning a Park Chateau wedding? Click here to view all the stunning weddings I have photographed at this gorgeous venue. And if you’re ready for more info, click here to fill out my contact form!